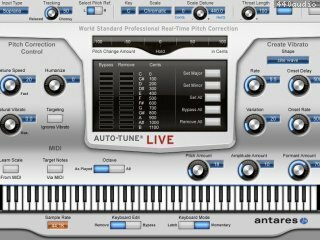 Whether you're performing on stage or tracking vocals in the studio, Auto-Tune Live features genuine Antares Auto-Tune technology optimized for real-time pitch correction or creatively modifying the intonation of a performance. Like all members of the Auto-Tune family, Auto-Tune Live can correct the pitch of vocals and other solo instruments, in real time, without distortion or artifacts, while preserving all of the expressive nuance of the original performance, as well as create the iconic Auto-Tune Vocal Effect. 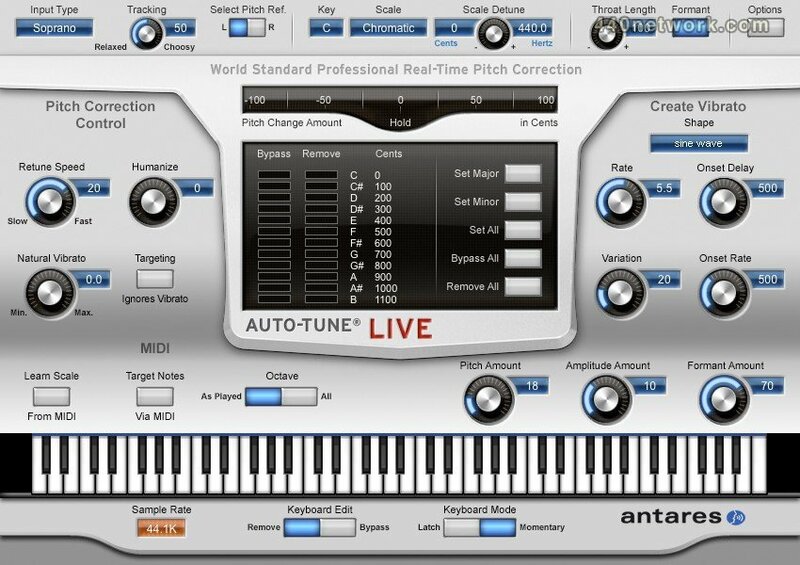 Ultra-low latency Thanks to its ultra-low latency, Auto-Tune Live allows virtually instant response in performance or when tracking in the studio. And with its MIDI control capabilities, you can control all of Auto-Tune Live's key performance parameters in MIDI Control real time, from any MIDI controller or prerecorded MIDI track, for the ultimate in creative real-time pitch processing.